I read King Dork a LONG time ago when I was still working as a YA librarian. I remember talking about it at librarian meetings. It seems like a lifetime ago (it was) which is why I was so surprised to hear talk of a sequel. 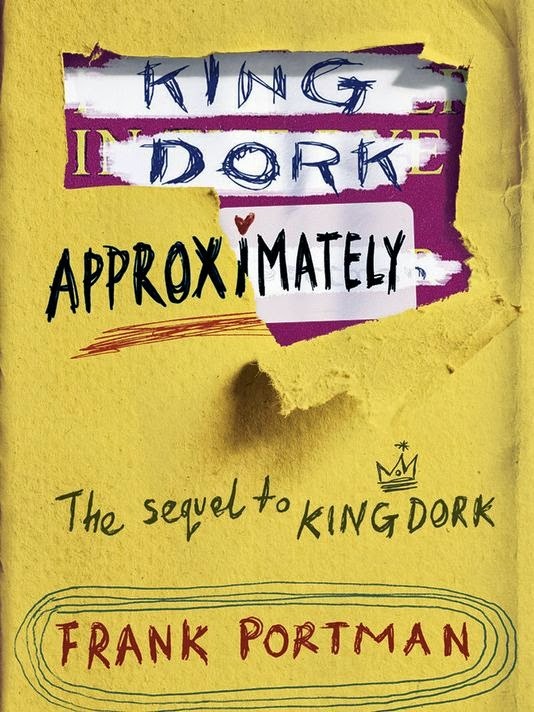 I had remembered enjoying King Dork, even if I didn't think it was the best thing ever, so when I had the chance to read an ebook through Netgalley, I jumped. King Dork Approximately picks up where King Dork left off. Tom Henderson has mostly recovered from his injuries (read the first book) and is still muddling though life trying to figure it all out but things are even more confusing for him. His mom and step dad are having problems, his best friend Sam Kellerman has shocking secrets of his own, and on top of it all he has to attend a new school when his infamous old one is shut down. He finds himself trying to be invisible by completely blending in to the new school's serious School Spirit. It works and he finds himself with a girlfriend and unbelievably a torment-free existence. But nothing lasts forever and pretty soon his true colors shine through. Luckily there's a female robot in class to save the day. Fans of King Dork will appreciate this sequel. Tom hasn't lost his sarcastic outlook. Once again, music plays a big role in the story. Tom's band has graduated from just coming up with names to actually playing instruments and practicing. If they can rein in their drummer's flair for unnecessary solos they actually sound ok, so Tom and Sam come up with a crazy method to do just that. Tom's band is the most entertaining part of the story.